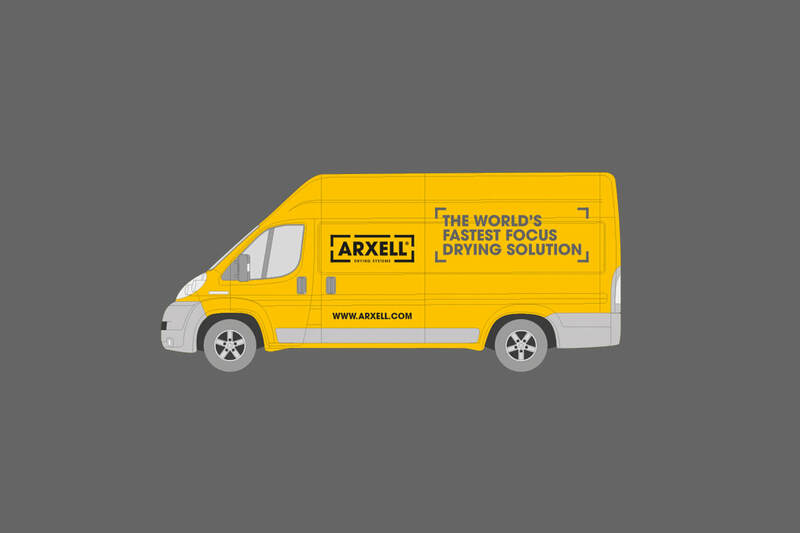 Arxell manufacture the world's fastest drying system. Quite a claim, and one that secured the brand an innovation award in 2016. Originally called Dry Cell, our brief involved completely overhauling the brand identity, including an entirely new brand name and visual identity. The previous name, Dry Cell, created an issue for the business as it had connotations with battery technology. You only have to type Dry Cell into Google for several listings to pop up relating to battery technology. And have you ever wondered how Duracell came up with their brand name? This was a big problem for a business trying to make a name for itself in the commercial drying industry. After spending some time with the executive team and their marketing consultant, we set to work developing a new brand name for the business. This process took around two weeks, starting with an initial mind map exercise to generate an abundance of relevant keywords and industry related terms. The mind map yielded approximately five hundred or so keywords and phrases, which we whittled down to around one hundred before experimenting with brand name options, based on predefined criteria. 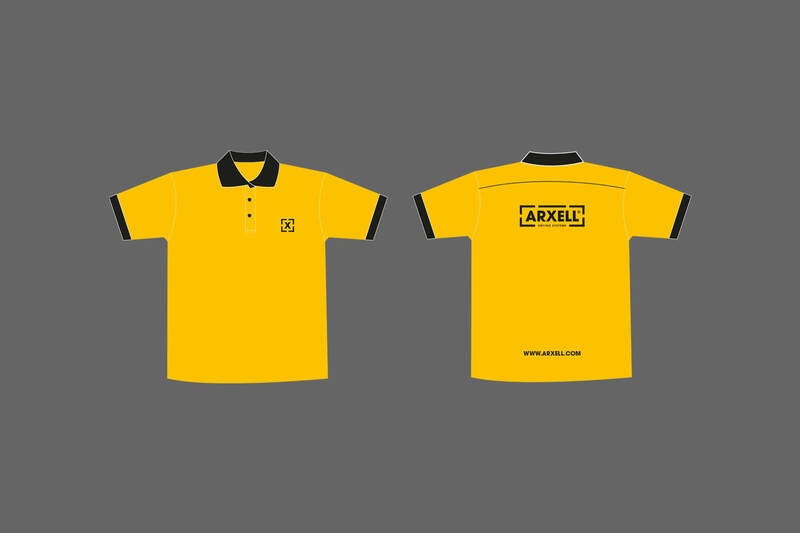 The resultant brand name had to be checked against existing trademarks and we also had to ensure that the domain www.arxell.com was available, given the plans to expand internationally in the future. Fortunately, the brand name ticked all the boxes and it is now a registered trademark, providing peace of mind for the executive team. 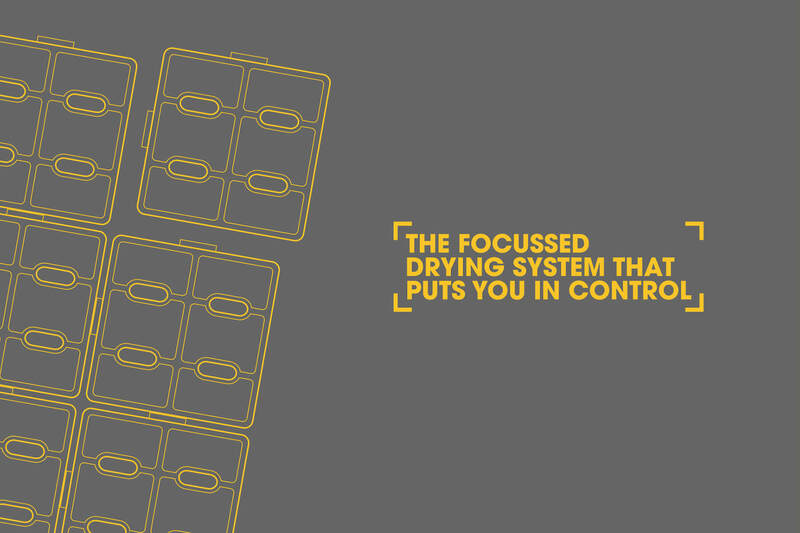 Having settled on the brand name, we set about developing concepts for the visual identity. Several concepts were produced, with the key objective being to portray the product in the design of the logo somehow. 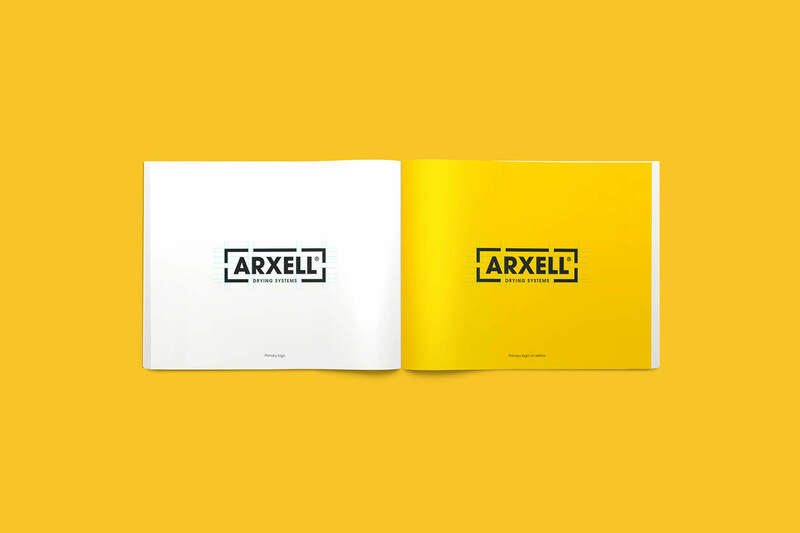 The subsequent logo for Arxell was a play on the side profile of the drying unit, with gaps in the outer border representing airflow through the system. We also designed the logo to work responsively, providing the client with three versions to use dependant on its application. A comprehensive set of brand guidelines were produced to ensure consistency across all mediums. These were instrumental in making sure that the website was on brand and in keeping with the overall look and feel trying to be conveyed. 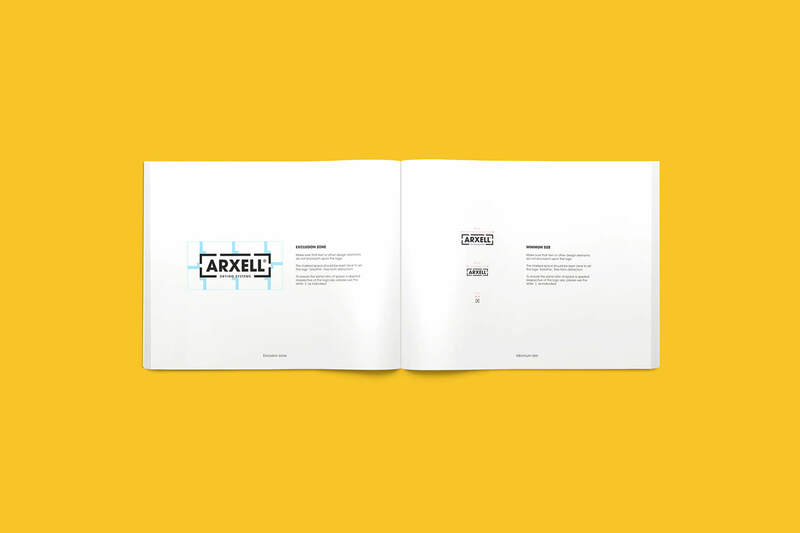 Since going live with the rebrand, Arxell have gained much traction, meeting with some of the biggest names in the commercial drying industry to offer their system as a less costly, faster solution for drying flood damaged buildings.